After John Wesley Powell and George Leroy Parker, possibly the third and fourth most famous persons from northwest Colorado were Anna (“Queen of the Rustlers”) Bassett and her sister, Josephine Bassett Morris, or Josie to her friends. Josie is best known for living a long life as an independent pioneer woman. She came from Arkansas to Brown’s Park north of what is now Dinosaur National Monument. She didn’t have the typical upbringing of her fellow settlers in the valley. Her parents had the largest library in the region. Originally home-schooled, she was later sent to Salt Lake City, not to a Mormon school, but to St. Mary’s of the Wasatch to be taught by Catholic nuns. There she learned the social graces. Sadly she had to return to Brown’s Park when her mother died. That important schooling put her on the most desirable list in a region of few women and a surplus of men. Having her choice of suitors she showed some favor to a young George Leroy Parker, better known to us as Butch Cassidy. 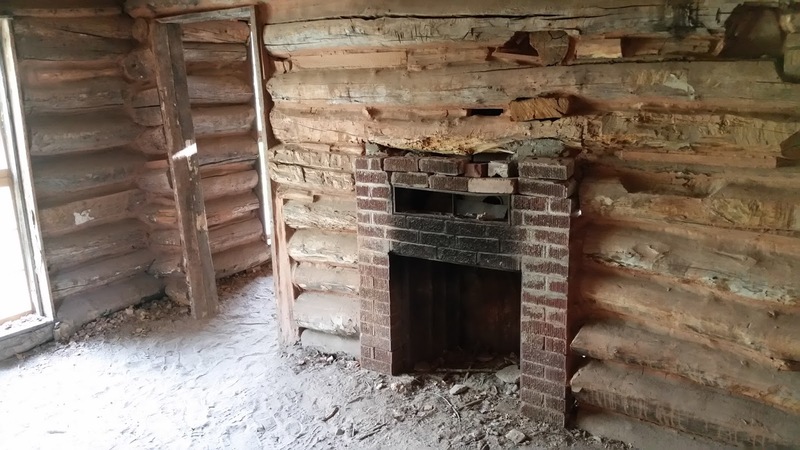 However, he was one disinclined to settle into the life of a farmer/rancher. Even so she spoke highly of Butch throughout her life and generally thought that the region’s outlaws and rustlers weren't much different than her contemporaries, they just chose to do their “business” in a more public fashion. Being an outlaw was OK with Josie as long as one didn’t steal a horse or kill anybody. With that attitude she was repeatedly accused of being a rustler herself, but in every court case she was exonerated. 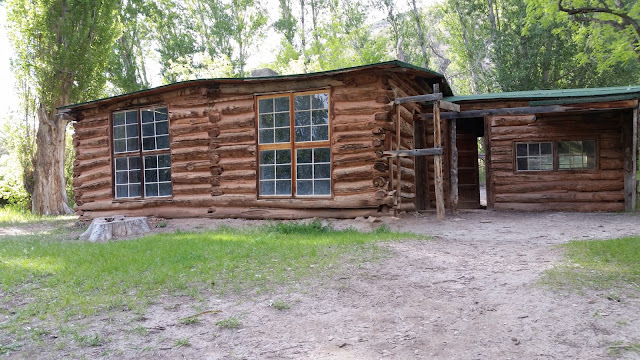 By 1914 when she was only 40 years old Josie had churned her way through five (5) husbands, bore two children, and decided to move out of Brown’s Park to an area called Cub Creek within the current boundary of Dinosaur National Monument. The site was adjacent to a natural box canyon (see photo). It’s a pretty and secluded spot maintained by the National Park Service with its own natural spring that once fed several gardens. She raised cattle and kept hogs in the canyon. Trees have since taken over the canyon, but a small hiking trail leads up to the end of the canyon. In the nearby meadow she grew field corn, alfalfa, potatoes, onions, radishes, and grapes. Her solitude was idyllic and she was able to socialize as needed by ride her horse to the town of Jensen, Utah. She’d also drive her buckboard to town about every 10 days to acquire what she couldn’t grow for herself in extensive gardens fed by a local spring. 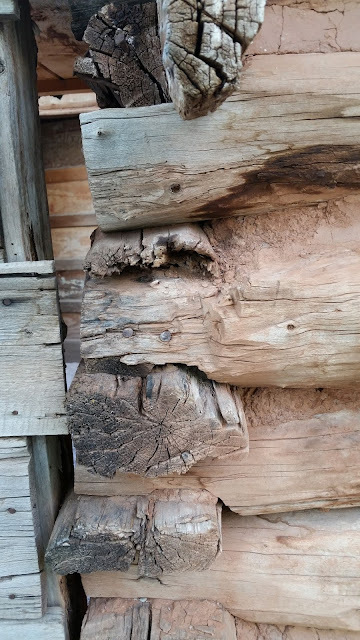 Pictures provided below show the present state of the rustic cabin some 98 years after its construction. She lived there 47 years and was active until age 90 when a horse knocked her to the ground and broke her hip. It took several days for someone to come to her rescue and take her to a hospital. While recovering, she fell and again broke the hip again causing her to be sent all the way to Salt Lake City for treatment. She wanted to convalesce at home but before that became possible she died and was subsequently buried in the Bassett family plot in brown’s Park. 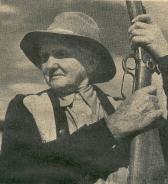 Josie’s rugged life and pioneer spirit along with her association with known rustlers and bandits led to her life being chronicled in Life Magazine in 1948. The story of Josie’s notorious sister, Queen Ann, is best left for another day.